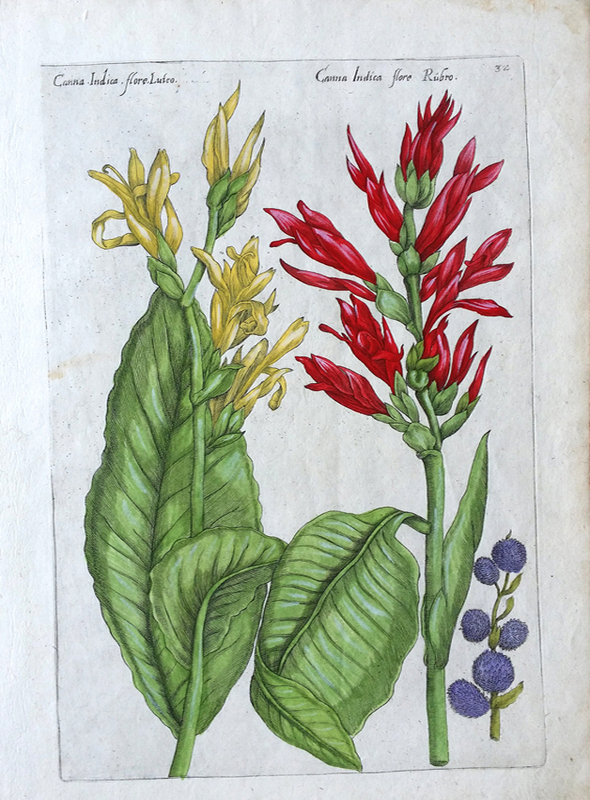 Prints from this publication are extremely rare, as are all 17th Century botanicals. These prints feature expert later hand coloring. Note: Please read item descriptions for accurate condition report. Due to digital photography shades and coloring in artwork and/or mats can vary slightly from the actual color due to the light conditions under which the photos have been taken. Digital photography can at times cause slight distortion as well, for example straight lines in an image or on a mat can appear wavy or broken, particularly in close ups.